Thanks for the publicity, but it is not needed! "Teretola" ..... "W32Blaster" ........ "Mauro Petrolo" ....... "Sir Black King" ..... "Id 241018"
Don't put your head in the sand and hope it will all go away… it probably won't! Copy your houdini 4 .exe to Engine1 folder. 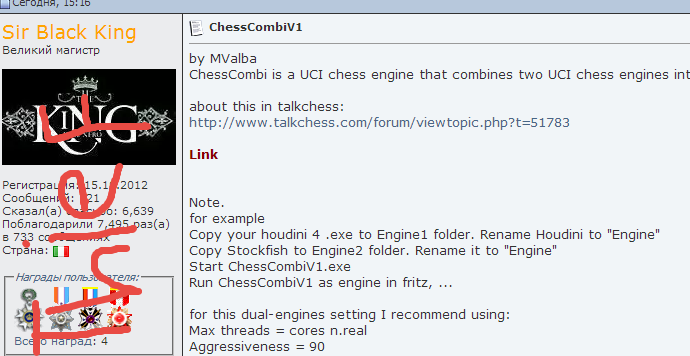 Rename Houdini to "Engine"
Copy Stockfish to Engine2 folder. Rename it to "Engine"
"Teretola" aka "antony r" aka "W32Blaster" aka "Mauro Petrolo" aka "Sir Black King" aka "Id 241018" aka "Marco Zerbinati"
AmOs 4EvEr is the new face now..
what's wrong with that? can not have multiple?